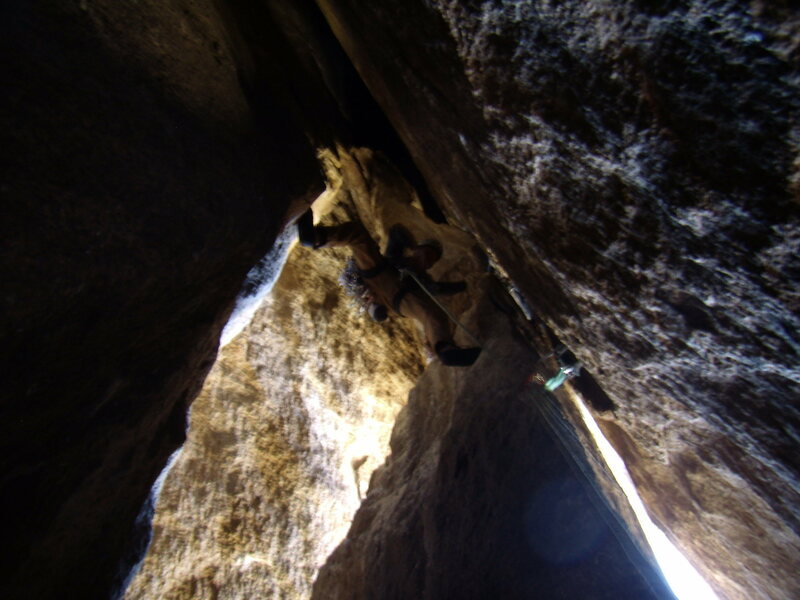 Looking up the first pitch in the chimney. A tad R'ish. Stem'O'rama! Photo courtesy of Alan Ream.